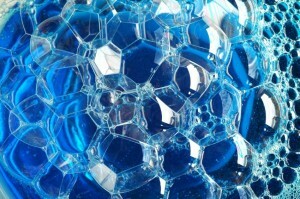 Dishwashing liquid may seem to be a product designed for one purpose, and one purpose only – but according to Canstar Blue’s latest research, New Zealanders have been using their household products for a whole range of not-doing-the-dishes reasons. Approximately 55% of our 2,177 survey respondents said that they use their dishwashing liquid for cleaning other things apart from dishes. So what sort of things? Well, of the 1,190 respondents who multitask with their dishwashing liquid, 28% use it to clean the floor and a whopping 37% use it to clean their car. (Car? Is that really a good idea?? According to CarsGuide it shouldn’t do any damage…). Perhaps not surprisingly the most popular non-dishes use for dishwashing liquid was to clean the kitchen benches and appliances, with 59% of multitasking respondents doing that. Cleaning the bathroom and handwashing clothes (16% and 11% of respondents respectively) were also popular, as well as the 11% who use dishwashing liquid to clean their jewellery. In a sign that some are still children at heart, almost a quarter of us (24%) use dishwashing liquid for that most fun of activities – blowing bubbles! 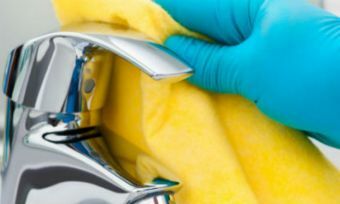 A relatively small number of 65 survey respondents admitted that they had ruined an appliance using dishwashing liquid – it’s certainly not appropriate for universal application. In cases like these, it’s always best to use the cleaner that the manufacturer recommends, no matter how shiny that detergent makes your dishes look!